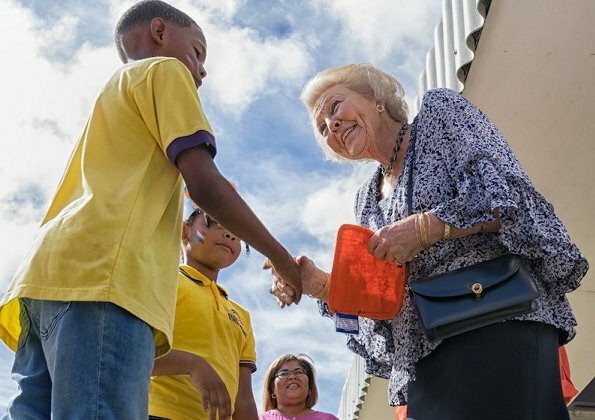 Princess Beatrix of the Netherlands is making a visit to Bonaire island between the dates of November 28 and December 1, 2018 upon the invitation of the STINAPA Bonaire National Parks Foundation. 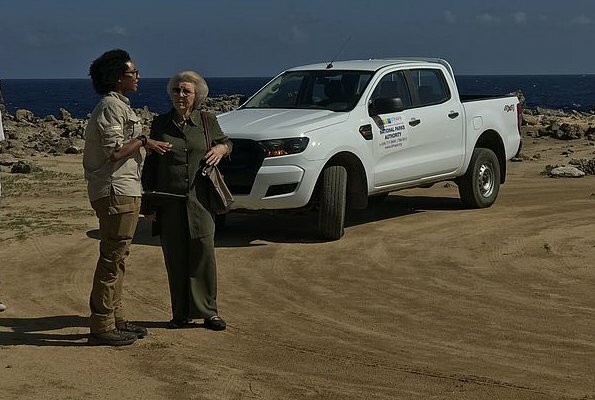 This nongovernmental organisation is responsible for the management of Bonaire’s national parks. 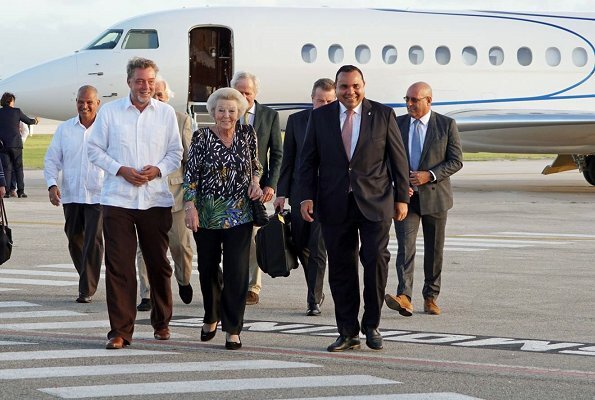 STINAPA is a member of the Dutch Caribbean Nature Alliance (DCNA). 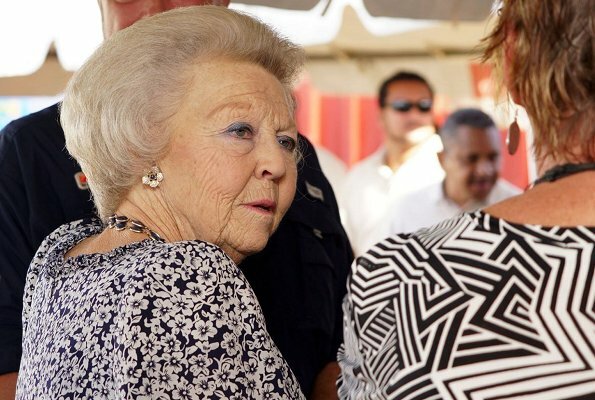 Princess Beatrix is the patron of DCNA. 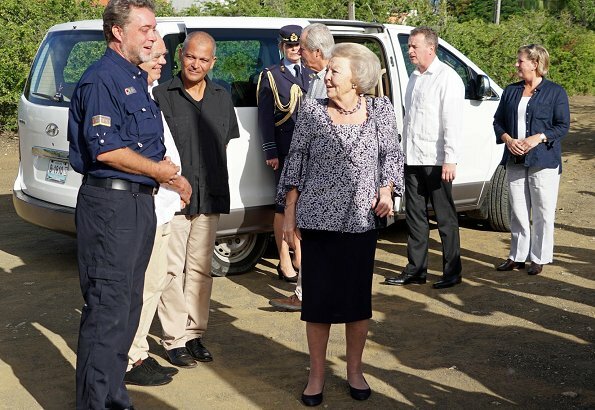 On the morning of November 29, Princess Beatrix visited STINAPA’s head Office and there, she received information about nature conservation and management at the Bonaire National Marine Park and the Washington Slagbaai National Park. 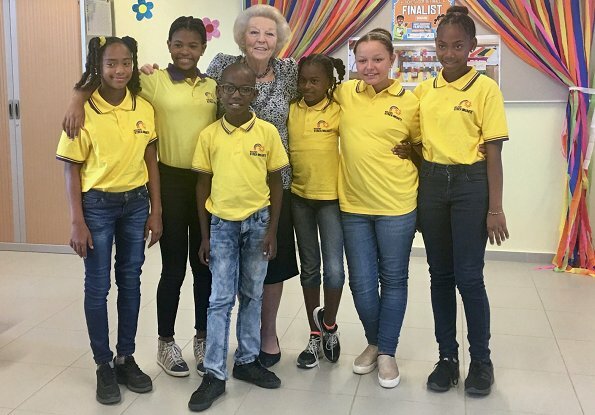 Afterwards, in her capacity as patron of the Dutch National Committee for UNICEF, Princess Beatrix visited the Kolegio Strea Briante school, whose film production won the first-ever Caribbean edition of the UNICEF Child Rights Film Festival earlier this year. 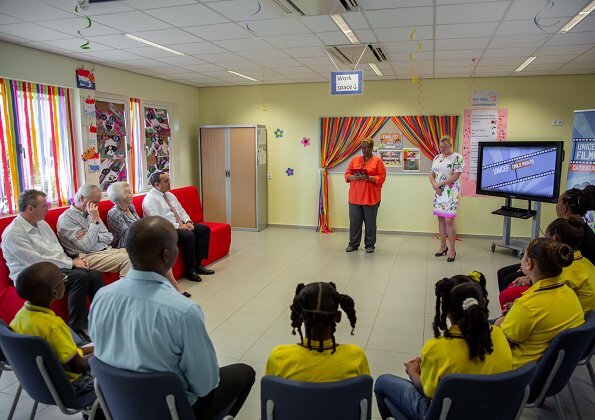 The festival aims to make children in the Caribbean Netherlands aware of their rights in active and creative ways. 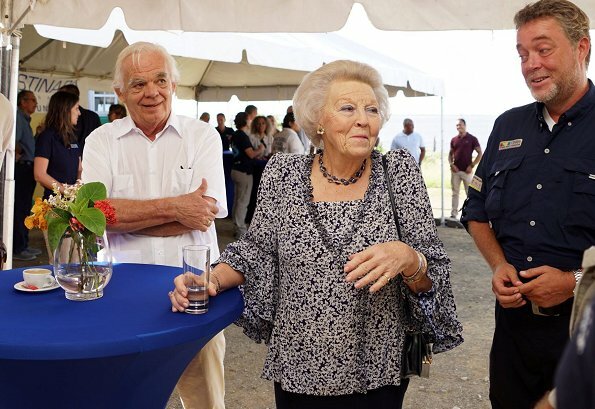 In the afternoon, Princess Beatrix attended the ‘Economy and nature in balance’ symposium held by the DCNA regional parks alliance. 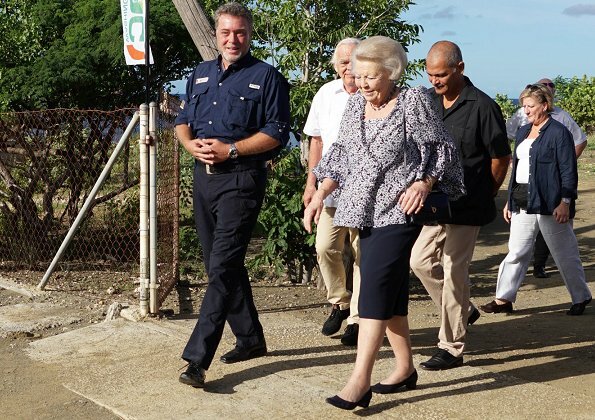 On the morning of November 30, Princess Beatrix visited the Washington Slagbaai National Park, which was established in 1969 as the first nature reserve of the then Netherlands Antilles. 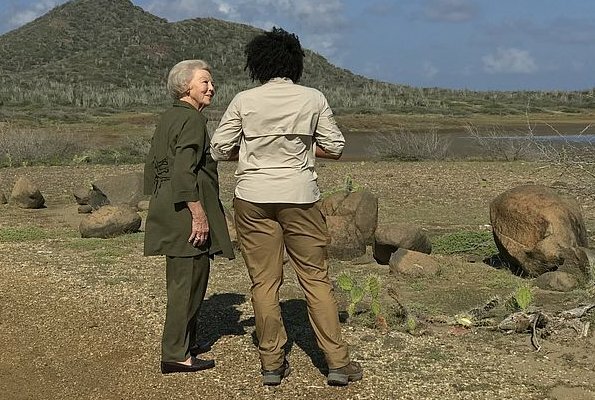 The park covers an area of 5,643 hectares and provides a safe living environment for Bonaire’s protected indigenous species, including parrots, flamingos, parakeets and iguanas. 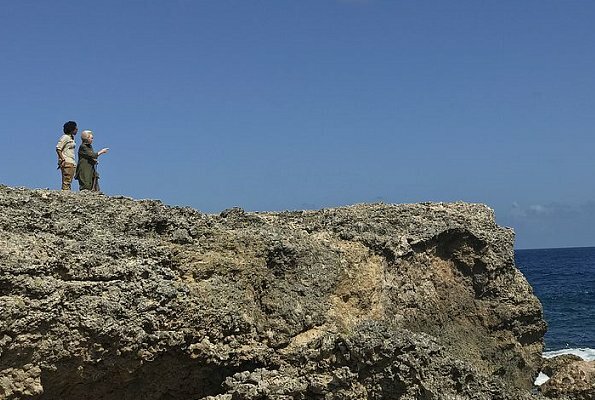 In addition, the beaches are an important breeding ground for the four species of sea turtle that are native to the Caribbean. 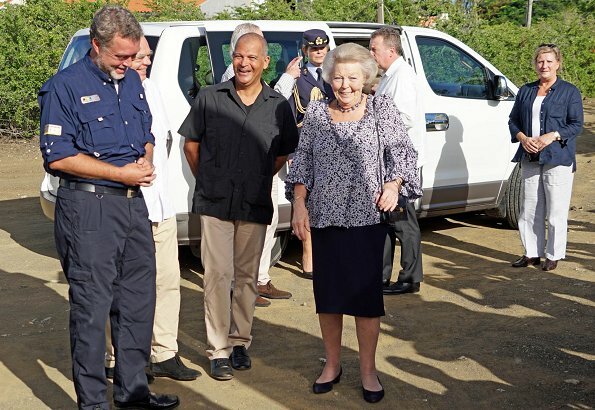 Princess Beatrix then met with rangers, researchers and staff of the Washington Slagbaai National Park. 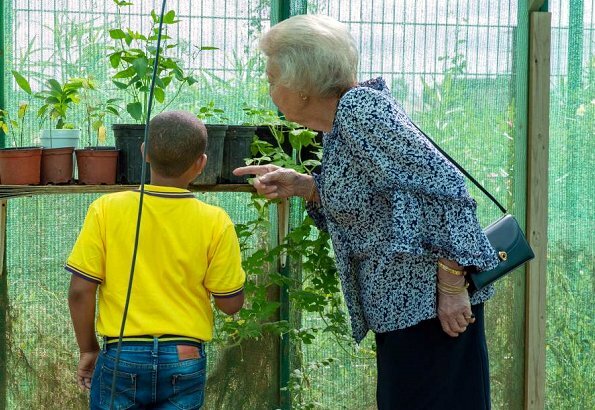 In the afternoon Princess Beatrix visited Hòfi Kultural, a cultural venture for local residents, which receives support from the Orange Fund. 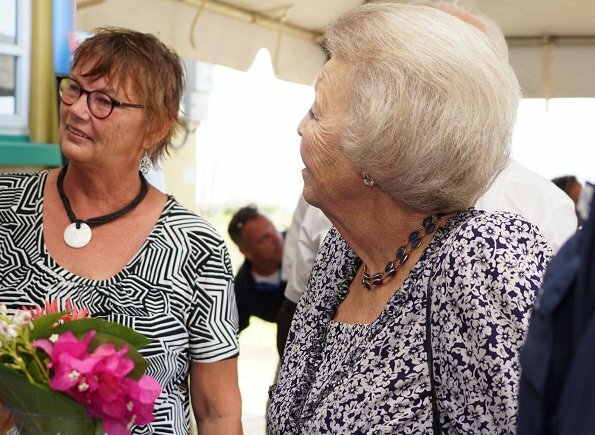 Here, residents can meet and get to know each other better while creating artwork together. 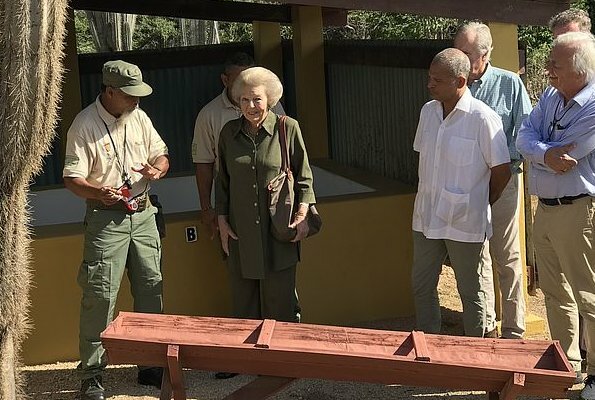 The Princess met with organisers and residents and unveiled a woodcarving. 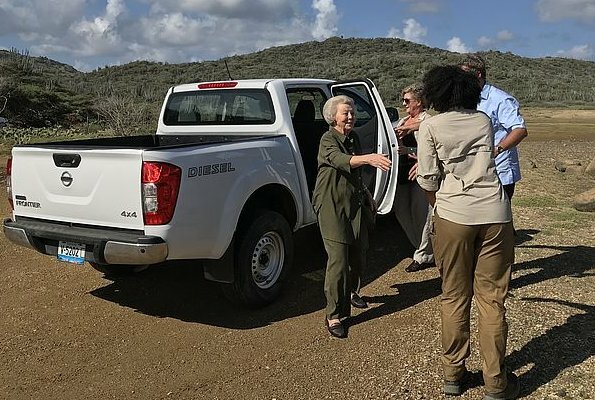 Nice to see her on a field trip. Lovely woman, nicely dressed, doing her job well. What a lovely Lady.Love to see her this active. Yes, she is doing nice! I really like the flowered top on the pencil skirt. Also, well styled. 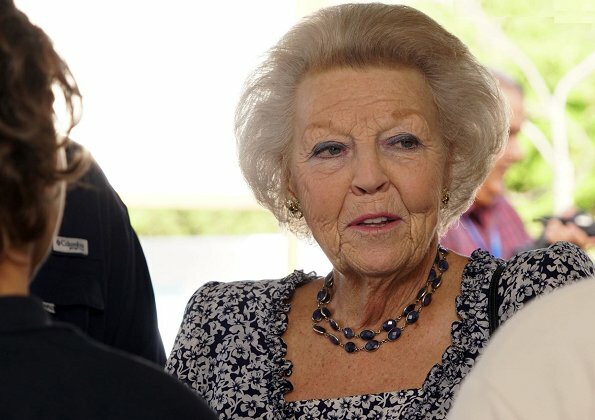 Very good, Beatrix! 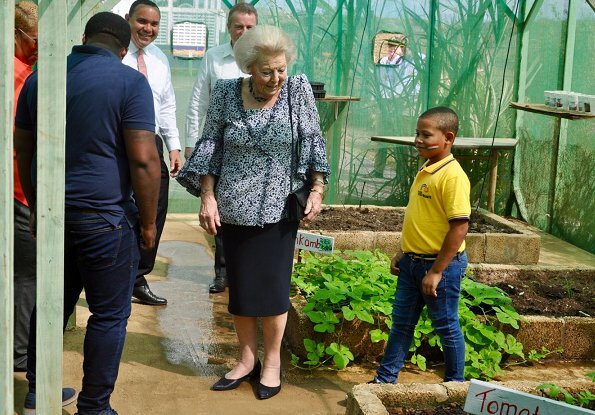 I believe this is the first time I have seen her in trousers. I had to look twice. She looks lovely and so energetic for her age.